Two months ago I bought my second bottle of scotch. At the time, I said I didn't see myself running out to start a scotch collection. Well I have since started a scotch collection. I chose to focus on Compass Box after tasting The Spice Tree and thinking it was delicious. It led me to their website which may be the best whisk(e)y website out there. It's very well laid out, informative and educational. There's a video section on truths and misconceptions about scotch and many of the whiskies include foods to pair best with them. Compass Box calls themselves whiskymakers which they say is "someone who feels a need and an obligation to make things better." They do not distill anything themselves but rather find the very best scotch whisky and blend them into something better than their individual component parts. They are very transparent about the whiskies that go into each bottle, showing the percent from each distillery, and the type of cask used to age them. They also do not add any artificial color which is allowed in scotch but not in bourbon. Compass Box started a campaign to change current scotch whisky regulations to be more transparent with consumers. 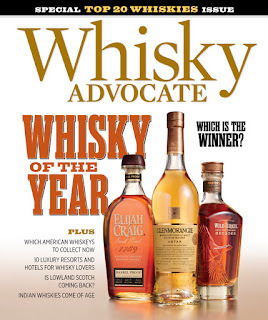 Current regulations only allow companies to show the age of the youngest whisky in the bottle and they are prohibited from providing additional information on the ages of the other component whiskies. The amendment would allow producers the freedom but not the obligation to provide complete, unbiased and clear information on every component whisky in their product. You can join them and register your support here. It took me two states (PA and DE) to find all the varieties in their Signature Range (Asyla, Oak Cross, Hedonism, The Spice Tree and The Peat Monster) and another two states (CT and NY), and the help of the Best Wife Ever, to find four of the Limited Editions (Flaming Heart, Spice Tree Extravaganza, The Lost Blend and The Double Single). Oh, and a bottle of Artist's Blend from their Great King Street line. Collecting whisk(e)y is a lot like collecting baseball cards when I was a kid, except of whole lot funner.